Information for victims of the Brisbane and Bremer River floods at Goodna, Gailes, Redbank, Ipswich and Brisbane on 11 January 2011 as well as the Queensland Floods Commission reports and information for flood victims who have joined the class action by Maurice Blackburn Lawyers to recover their flood losses. An emotional call has been made on the 5th anniversary of the 2011 flood for the state government and Seqwater to settle the billion dollar flood class action without the need for expensive court hearings “where the only real winners will be the lawyers”. The class action was commenced in the NSW Supreme Court in 2014 by Maurice Blackburn Lawyers on behalf of over 5000 flood victims in southeast Queensland. In 2012 when the report of the Floods Commission of Inquiry was handed down both the government and opposition said they would act as model litigants in the event of a class action. Ipswich councillor Paul Tully, a victim of the flood, said the claimants have recently had their case delayed until at least 2017 by a judge in Sydney. Cr Tully said it could be 10 years after the flood before a decision was made with an appeal to the High Court possible by the losing party. “These are real people still suffering financially and emotionally and any further delays are totally unacceptable. Cr Tully urged the state government and Seqwater to look for a way to settle the class action without any further prevarication or delay. “The battlers who lost everything in the flood don’t care about self-serving claims of innocence by Seqwater or technical legal defences by their lawyers. “All they want is a fair go with proper compensation so they can finally move on with their lives,” Cr Tully said. Hundreds of families in Brisbane and Ipswich could be spared the heartache of watching their homes devastated by floods thanks to improved management of the south east’s dams. Water Supply Minister Mark McArdle today released new operational strategies for the Wivenhoe, Somerset and North Pine dams to minimise possible flooding ahead of the summer wet season. “There is no question the region will see major flooding in the future and the Newman LNP Government is committed to doing everything it can to improve our resilience to natural disasters,” Mr McArdle said. “In simple terms, the strategies allow more storage space in the dams to better cope with flood waters. “In the case of Wivenhoe Dam, more water will be released earlier to minimise flooding. “This could mean about 500 to 1,500 fewer buildings in Brisbane and Ipswich would be flooded in a repeat of the 2011 flood. “At North Pine Dam the maximum water supply storage will be set at 90 per cent for up to 20 years. The Wivenhoe Somerset Dam Optimisation Study (WSDOS) and the North Pine Dam Optimisation Study (NPDOS) were recommended by the Queensland Floods Commission of Inquiry. Seqwater chief executive Peter Dennis said the studies followed the most comprehensive analysis of dam operations in flood scenarios ever undertaken in south east Queensland. Mr McArdle said the new Wivenhoe Dam strategy could result in some bridges, such as Colleges Crossing near Ipswich, being closed more regularly when it floods and warned that it was impossible to prevent all flooding in Brisbane and Ipswich. 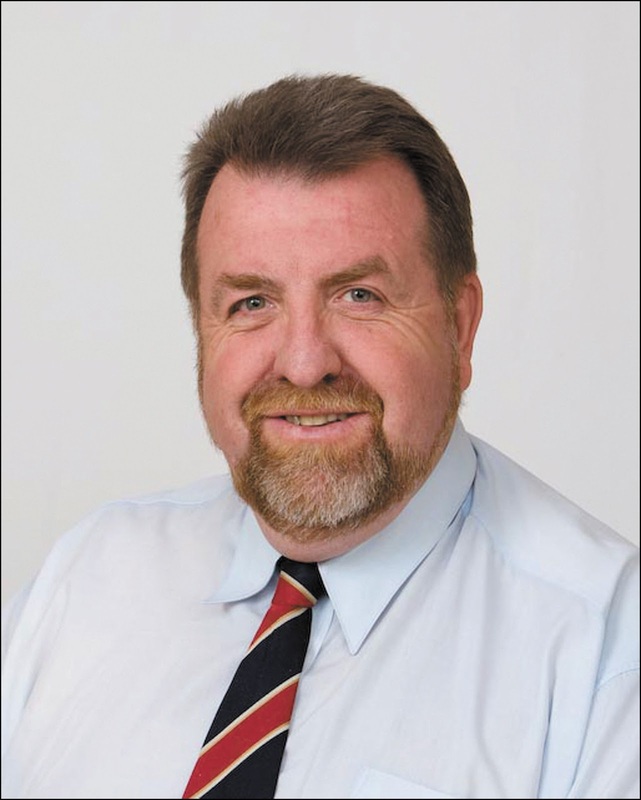 “All floods are different and the Wivenhoe and Somerset dams are both upstream of Lockyer Creek and the Bremer River and cannot protect us from floods coming down those watercourses,” Mr McArdle said. The Department of Energy and Water Supply is finalising a preliminary investigation into potential new dams and the raising of Wivenhoe Dam, with the findings due to be completed before Christmas. The class action will go ahead in 2016. A class action launched against the Queensland Government and its two water authorities will go ahead in 2016. The Supreme Court in Sydney today struck out the class action's statement of claim - but would allow it to be amended for the case to be heard on July 18, 2016. Law firm Maurice Blackburn is representing about 4,500 Brisbane and Ipswich flood victims in a bid to claw back more than $1 billion lost in the disaster. The class action claims too much water was released from Wivenhoe Dam at the peak of the floods to unnecessarily push up the Brisbane and Bremer rivers. Two of the three defendants - SEQ Water and Sunwater - . The other defendant, the state of Queensland, did not support the motion. The Supreme Court today ruled the plaintiff did not address adequately the phrase "risk of harm" as it appeared in the Civil Liability Act. There was also not enough detail on the cause of the flood nor what height the plaintiff thought would have been appropriate in the lead up to future downpours. "As well, the plaintiff needed to address its allegations of breach of duty by deleting those allegations which deal with states of mind, and limiting its claim for breach of duty to allegations of acting inappropriately or failing to act appropriately," the judgement said. The court ruled the class action's statement of claim would be re-pleaded. "We're pleased that we have a road map for our clients to the final resolution of this case," said Maurice Blackburn's Damian Scattini. "Preparing for trial in a case of this size and significance takes enormous resources, so while for some July 2016 may seem like a long way off, we will be using every day between now and the trial to bring the strongest case possible before the court." In 2012, the Queensland Floods Commission found the dam's manual was not properly followed on the weekend leading up to the flood peak. 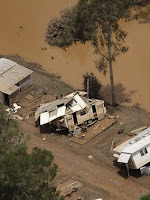 More than 78 per cent of Queensland was declared a disaster zone during the floods in December 2010 and January 2011, which affected more than 2.5 million people. 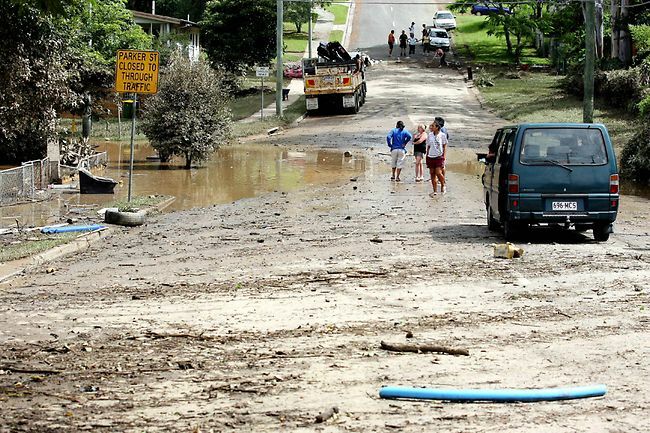 ALMOST four years after southeast Queensland was ravaged by floods, many victims constantly relive the devastation, according to Ipswich councillor Paul Tully. "Every day, every day" they see the scars left behind, he says on behalf of the 4500 members of the largest class action in Australian history, who are suing the Queensland government over the disaster. Brought by Maurice Blackburn Lawyers, the case will be heard from July 18, 2016, in the NSW Supreme Court because Queensland does not have a class action regime. Mr Tully yesterday said the setting of the date let victims know they would get their day in court. But he is also mindful that by then, five years will have passed since the floods left a $2.3 billion damage bill. Almost four years after southeast Queensland was ravaged by floods, many victims constantly re-live the devastation, according to Ipswich councillor Paul Tully. "Every day, every day" they see the scars left behind, he says on behalf of the 4500 members of the largest class action in Australian history who are suing the Queensland government over the disaster. Brought by Maurice Blackburn Lawyers, the case will be heard from July 18, 2016 in the NSW Supreme Court because Queensland does not have a class action regime. Mr Tully, from the Ipswich suburb of Goodna, said on Friday the setting of the date had given victims fresh hope they would finally have their day in court. But he is also mindful that by the time of the hearing, five years will have passed since the floods left behind a $2.38 billion trail of destruction, with 200,000 people affected. 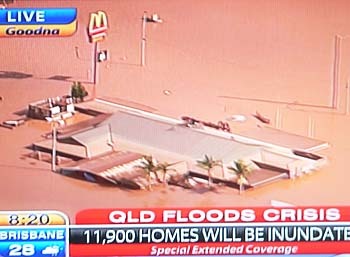 In Goodna - the worst-affected area in southeast Queensland - more than 600 homes and businesses were flooded. "A lot of people are still struggling. Behind the walls there are homes that haven't been restored," Mr Tully said. "There's individual homes where you still see the effects of the floods inside, where places might look reasonable on the outside but on the inside they're still battle-scarred." The class action claims dam operators were negligent during the 2011 crisis. As the rain pelted down and water backed up, operators made large releases to prevent Wivenhoe Dam collapsing. 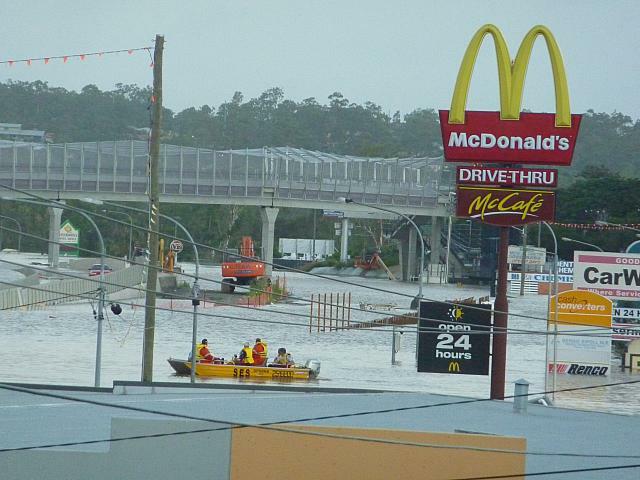 The lawyers say the result was unnecessary flooding in Brisbane and Ipswich. Maurice Blackburn principal Damian Scattini says the trial date may seem distant but it's sooner than expected and there is a lot of work to do. Many of the victims, he said, thought it would never happen. Mr Tully is conscious it could be 2017 at the earliest before the matter is resolved, and remains hopeful a settlement might be reached sooner. "It's still going to be a long haul," he said. "There's ample time for the parties to sit down, when they become fully aware of the strength of each party's case, and I'd be hoping the government takes a lead role in this, and tries to effect a settlement without a lengthy court hearing." Click here for the link to the full 153-page Statement of Claim filed by Maurice Blackburn Lawyers in the New South Wales Supreme Court on 8 July 2014 on behalf of the Brisbane and Ipswich 2011 flood victims who have signed up for the class action. The case will be heard in the Supreme Court commencing 18 July 2016, unless settled sooner by the parties. The action has been commenced in NSW because Queensland does not have a Class Action regime. Maybe Queensland Chief Justice Tim Carmody could use his close links to the Queensland Government to push for this reform. IT MAY be "routine" legal play for Seqwater and SunWater to try to stop flood victims taking their case to court but most of Queensland will see it as a low blow. More than 4500 Ipswich and Brisbane flood victims have a case that must be heard. The January 2011 floods took lives, destroyed homes, crippled businesses, ruined livelihoods and broke hearts as families lost irreplaceable possessions, especially the simple things like photographs of children. Brisbane Tce and Layard St Goodna. The State Government has a duty to ensure the victims of this flood have their day in court. Is the State Government being a "model litigant" in the proceedings, Premier Campbell Newman? Mr Newman was quite vocal in making the former government accountable and answerable to the management of Wivenhoe Dam in the lead-up to the floods. For the government-owned corporations of Seqwater and SunWater to attempt to throw the matter out of court is out of line. There is a lot to lose. The cost to these corporations and the Government would be more than $1 billion. But there is also a reputation to uphold and the people of Queensland must have faith in the operators of our water assets and an assurance that the management of Wivenhoe Dam minimises the devastating impact of floods and certainly does not exaggerate the impact. Victims of southeast Queensland's devastating 2011 floods have a trial date set for the largest class action in Australian history. The class action for approximately 4500 flood victims will be heard in court on July 18, 2016, according to lawyers representing the victims. The date was handed down on Thursday at the Federal Court of Australia to the relief of victims, who claim dam operators were negligent during the 2011 flood. As the rain pelted down and water backed up, operators were forced to make large water releases to prevent Wivenhoe dam from collapsing. The result was unnecessary flooding in Brisbane and Ipswich to the west, lawyers have claimed. Previous estimates have suggested a possible compensation claim of $1 billion. Maurice Blackburn principal Damian Scattini says the trial date may seem distant, but it's sooner than expected and there is a lot of work to do. The action was lodged in NSW because there's no class action regime in Queensland. FLOOD victims from Ipswich will get their chance to fight for compensation with a trial date set for July 2016. The class action headed to court this week as two of the three defendants, Seqwater and SunWater, moved to have the claim struck out. Their application was based on a lack of detail in the claim, arguing an absence of any alternative water release strategy was a fundamental flaw. The State of Queensland did not support the application before the court. Maurice Blackburn Lawyers principal Damian Scattini yesterday said the judge had ruled the case would continue. "It is good news that we have a trial date," Mr Scattini said. "There will be people that look at that as some time away but there is plenty of work to do before then. It's a good outcome. "People will have their day in court. There's nothing that will stop that." Maurice Blackburn Lawyers filed the claim in the New South Wales Supreme Court in July on behalf of more than 4500 affected residents and business owners. Their case claims dam engineers were negligent in their handling of the disaster which ultimately led to huge volumes of water being released downstream as a last resort to protect the structural integrity of the dam. The 150-page claim was lodged in NSW because there is no avenue in Queensland to launch a class action. The operators of Wivenhoe Dam have denied any wrongdoing. SunWater declined to comment on the matter and Seqwater would not comment on yesterday's developments. The water corporations' moves to strike out the statement of claim only appeared to boost the confidence of homeowners and businesses that have joined the class action. Goodna homeowner Frank Beaumont whose home of 27 years was completely submerged in the floodwaters, leaving nothing but three walls, the roof and internal timber frames to return to, yesterday said he was pleased to hear the claim was going ahead. "The money is secondary to some admission that they were wrong," Mr Beaumont said. "Yes, the money would be handy because it cost us everything we ever had. "I've got no superannuation left. We had no money. We had to beg, borrow and steal at the time to even get started with the house. "I want some satisfaction that that they did not follow procedures. "We can't sell our houses. We've lost 39-45% of the value of our properties. We've lost all our savings, everything." "Why try to stop it if there's nothing to hide?" 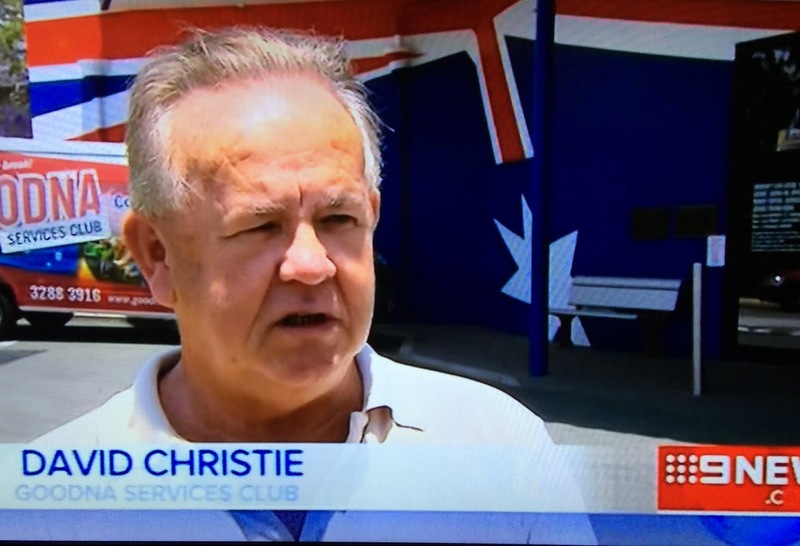 Goodna Services Club president David Christie said a large number of members were affected by the flood and the club struggled through an 18-month closure after the flood. The club lost infrastructure and fittings to two buildings but was able to refurbish and operate temporarily out of the smaller function room three months after the flood. Mr Christie said the club luckily had cash reserves to keep it going until refurbishments were completed but he said those reserves were almost exhausted. He said the application to shut down the case only highlighted what the government-owned corporations had to lose. "I can understand what Seqwater, SunWater and the government are doing," Mr Christie said. "It's all about saving money. They stand to lose one or two billion dollars. Goodna-based Councillor Paul Tully said he was confident Maurice Blackburn Lawyers would be able to prove the Wivenhoe Dam was mismanaged in the lead-up to the January 2011 flood. "It is good the flood victims of Ipswich and Brisbane have finally got their day in court after four frustrating years," Cr Tully said. is being funded by Bentham IMF. Listed litigation funder Bentham IMF's fully-owned US subsidiary is picking up steam after announcing the funding of further cases in August. Last month the company announced it had a successful outcome which will generate income of $16 million and a profit of approximately $7.6 million before tax and after capitalised costs. Australia, meanwhile, provides a strong base for the company, being at least the fifth largest common law litigation market in the world. IMF's Australian business continues to go from strength to strength, with the funding of the Wivenhoe Dam case, one that is expected to be the company's largest funded case to date. A Statement of Claim against the State of Queensland and others in respect to the Brisbane Floods was filed in July. Other recent actions include open-class proceedings to enable bank customers who have paid late fees, but are not presently a part of original class actions, to be able to participate in the eventual outcome. Last month the company announced a conditional settlement of a confidential matter in Australia, which is likely to generate $2.5 million of income and a gross profit of approximately $1.6 million. The scale that Bentham IMF has built will allow it to tackle larger cases and aggressive defendants. While predicting how each single case will ultimately fare is difficult to predict, Bentham IMF seeks to stack the odds in its favour and build a portfolio of cases that stand to deliver attractive returns for shareholders. The company certainly has a formidable track record here, having commenced and completed 159 cases as at 30 June, from the time of its listing on the ASX in 2001. The average investment period was 2.3 years and Bentham has collected $1.47 billion from these cases, with approximately 65 per cent going to clients ($957m) and $514 million to Bentham, comprised of $189 million in reimbursement costs and $325 million in net revenue. Gross return on investment has been high, at around 273 per cent. Only six cases have been lost and the company withdrew from a further 35. We expect to see Bentham pursue many more offshore opportunities in the years to come, with offices established in Los Angeles, New York and the UK. The company's focus will be on similar markets with a strong rule of law, established legal systems with a clear set of statutory laws and legal fraternity. The company also entered into an agreement with US investment group Elliott Management earlier in the year, and this stands the company in good stead for future deal flow. The deal will assist the company in funding cases throughout Europe and co-fund larger cases in the Asia Pacific. The agreement provides Bentham IMF with a partner that has very deep pockets, and opens up a far broader universe of potential attractive opportunities, further positioning the company to become a leading litigation player globally. Third-party litigation funding has moved ahead quickly in the US, UK and the Netherlands over the past five years and become more readily accepted as a funding alternative. Competition is relatively limited as well. Trading in the shares has been volatile of late, but given a strong fundamental picture, and with prices below recent highs, there would appear a reasonable entry point at the moment. We believe the company offers an interesting investment opportunity with a strong management team, good deal flow and a diversified investment portfolio. The tie-up with Elliott Management further strengthens the case for Bentham IMF. Due to the nature of litigation funding, future earnings are difficult to estimate, particularly in regards to what timeframe they fall in. However, the stock is currently trading on circa 8.7 times consensus EPS estimates for fiscal 2015. We view this as inexpensive given the company's broad investment portfolio and the potential to return a significant dividend if successful in a number of its cases over the next couple of years. after flooding rains in January 2011. A LEGAL battle over the validity of the Wivenhoe Dam class action will resume in a Sydney court this morning as the Queensland Government pursues its attempts to have the case dismissed. If successful, the massive class action, representing more than 4000 victims of the 2011 January floods in the state’s southeast, could reap hundreds of millions of dollars for claimants. But the State Government has tried to have the matter dismissed before evidence is heard, alleging a lack of detail in the claim brought by Maurice Blackburn lawyers and backed by litigation funder IMF. Seqwater, which had control of Wivenhoe during the floods, is defending the claims that dam engineers followed a flawed strategy that led to much of the flooding. Chief Executive Officer Peter Dennis said the application to throw the matter out was related to a lack of specifics in the claim. Seqwater had expected the class action to contain evidence from international experts outlining an alternative water-release strategy that would have better protected householders. “There is no reference to this modelling in the current claim,” Mr Dennis said. Maurice Blackburn principal Damian Scattini was last night confident the class action would go ahead. He described the Government’s tactics as typical of the legal skirmishes accompanying such cases. “Applications such as this are routine in class actions,” Mr Scattini said. AUSTRALIA'S largest class action on behalf of victims of the 2011 floods was in the courts yesterday as Seqwater and SunWater moved to have the claim struck out. It was the first court hearing since Maurice Blackburn Lawyers filed the claim against Seqwater, SunWater and the State of Queensland in the New South Wales Supreme Court in July. Seqwater chief executive officer Peter Dennis said the application was based on a lack of detail in the claim. "The public has been told for some time by the solicitors and funders for the class action that modelling by international experts has been undertaken to support an alternative water release strategy during the January 2011 flood event, that shows little or no flooding would have occurred," Mr Dennis said. "There is no reference to this modelling in the current claim. "Seqwater considers the absence of any alternative water release strategy to be a fundamental flaw in the claim." Lawyers for the 4500 Ipswich and Brisbane flood victims involved in the class action emerged confident from the first day of a three-day hearing into the application. 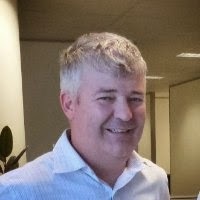 Maurice Blackburn Lawyers principal Damian Scattini said applications such as this were routine in class actions and he had no doubt the class action would proceed. "This application is, no doubt, the first of many such skirmishes we will go through in this class action," Mr Scattini said. "We knew that from the start and we remain confident in the strength of our case. "Whatever happens, the class action will continue and our clients will get their day in court." Ipswich City Councillor Paul Tully, whose Goodna home was affected by the floods, called on the State Government to negotiate a settlement of the claim. 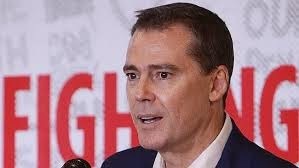 "It is disappointing the State Government is vigorously contesting the claim given both former premier Anna Bligh and (then) opposition leader Campbell Newman indicated the state should act as a model litigant in any legal proceedings," Cr Tully said. "I am calling on the State Government to negotiate a settlement of the claim without wasting more taxpayers' money on lawyers' fighting what is the largest class action ever launched in Australia. "Home and businesses owners who are part of the class action deserve to be fully compensated for their losses." Whatever happens, the class action will continue and our clients will get their day in court. 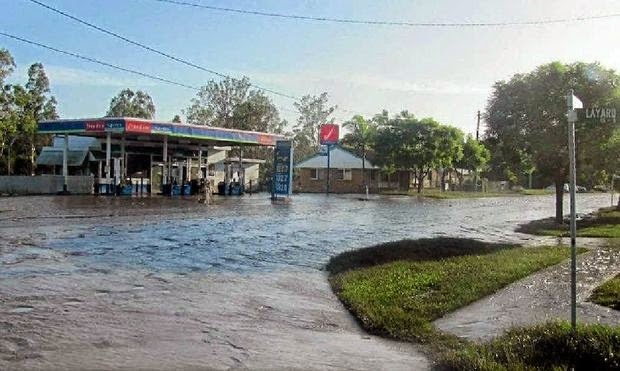 Queensland water authorities are attempting to strike out a class action claim for damages stemming from the 2011 flood in south-east Queensland. Law firm Maurice Blackburn is representing about 4,000 Brisbane and Ipswich flood victims in a bid to claw back more than a billion dollars lost in the disaster. 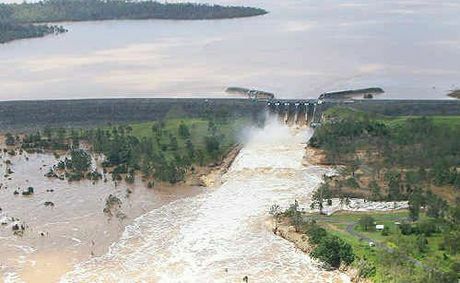 The class action, which was being heard in the Supreme Court in Sydney, claimed too much water was released from Wivenhoe Dam at the peak of the floods to unnecessarily push up the Brisbane and Bremer rivers. Today, two of the three defendants - SEQ Water and Sunwater - filed motions to have the claims struck out. The other defendant the State of Queensland did not support the motion. A spokeswoman for Maurice Blackburn said applications to strike out claims were routine and believed the class action would continue. The case resumes on Thursday and was expected to run all week. The Queensland Government reviewed its Model Litigant Principles on 12 October 2012. The Model Litigant Principles can be accessed here. These Principles which were issued by the Department of Justice and Attorney-General are intended to serve as a binding requirement on the State Government and its agencies in the handling of all litigation. The Principles go on to state numerous requirements, most-significantly requiring the State and its agencies to ensure they are consistently "dealing with claims promptly and not causing unnecessary delay in the handling of claims and litigation". Have the Boards of Seqwater and SunWater ever read these binding Principles? It would appear the answer is a resounding "NO" because of their antics today in the New South Wales Supreme Court to get the Court to unilaterally throw out the class action case against them by Maurice Blackburn Lawyers on behalf of over 4000 Brisbane River flood victims who suffered financially and personally as a result of the January 2011 flood. The buffoons running these two entities should be abiding by the spirit and letter of these Principles rather than trying to use every legal technicality possible to stop the case proceeding to its ultimate conclusion. Even the State Government did not fall into the trap of breaching its own Principles. Seqwater, SunWater and the Queensland Government should be looking for an early settlement of this class action to avoid running up a king's ransom in legal fees to ensure that their morally indefensible stance does not drag on for years at the expense of bona fide claimants who are still hurting badly as a result of the bumbling ineptitude of Seqwater in the lead-up to the 2011 flood. In a disgraceful move, Queensland government entities Seqwater and SunWater have treated victims of the 2011 Brisbane River flood disgracefully. When the Floods Commission of Inquiry Report was handed down in 2012, there was bipartisan support from the then Premier Anna Bligh and then LNP Leader Campbell Newman that, irrespective of the pending election, each of them would ensure the Queensland government acted as a "model litigant" in the event of a class action over the flood. On 8 July 2014, a class action was filed by Maurice Blackburn Lawyers on behalf of over 4000 claimants in the New South Wales Supreme Court. It was funded by Bentham IMF Limited. On 5 November 2014, that claim was formally opposed in the Supreme Court by Seqwater and SunWater who sought orders to strike out the claims. That is truly appalling behaviour by these two entities who are proving they have hearts of lead and the compassion of a dead dingo. Peter Denniss, the head of Seqwater, said the NSW Supreme Court strike-out action was based on the "lack of detail in the (class action) claim". Is he serious? - A detailed 153 page claim and he says there is a "lack of detail"! Does he know what a "model litigant" is? The Premier Campbell Newman should step in and tell those running these two out-of-touch entities to pull their horns in and allow the class action to proceed unhindered by legal technicalities, corporate prevarication and inappropriate delaying tactics. Only then can the Supreme Court begin to consider the merits of the legal action free from petty legal tactics which make some of Clive Palmer's more-outrageous courtroom antics look like those of positively-impeccable litigant. MORE than 4000 flood victims of alleged negligence by operators of Brisbane’s Wivenhoe Dam in 2011 face a legal hurdle today as lawyers for the Newman government try to terminate their class action. State-owned Seqwater will argue in the Supreme Court in Sydney that the class action should be struck out. The legal bout represents an early bid by the insurers of Wivenhoe Dam, potentially liable for hundreds of millions of dollars of a multi­billion-dollar damages claim. 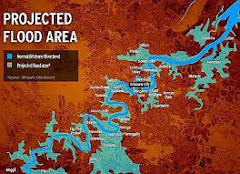 The flood victims from the January 2011 Brisbane River disaster are represented by Maurice Blackburn, with funding from litigation funder IMF. Flood victims have been told by the law firm that the Queensland government-owned entities “seek orders that the claim be struck out in its entirety — that we be, in effect, ordered to start again with a whole new statement of claim. We believe that we have the better argument and we are confident”. Peter Denniss, the head of Seqwater, said the NSW Supreme Court strike-out action was based on “the lack of detail in the (class action) claim”. “The public has been told for some time by the solicitors and funders for the class action that modelling by international experts has been undertaken to support an alternative water- ­release strategy during the January 2011 flood event that shows little or no flooding would have occurred,” Mr Denniss said yesterday. “There is no reference to this modelling in the current claim. Maurice Blackburn said in July that its international experts were highly confident the flooding from Wivenhoe Dam would have been almost completely avoided. The closed-door multimillion-dollar evidence-testing program by a team of US-based hydrologists retained by the law firm has been withheld from preliminary filings. The hydrologists who performed the work have also been shielded from public scrutiny. The total payout in the event of a success by the Maurice Blackburn-IMF combination could be as much as $2 billion to compensate South East Queensland families and businesses for their significant losses. Wrongdoing has been emphatically denied by the operators of Wivenhoe Dam. INTERNATIONAL experts are now highly confident that the flooding from Brisbane’s Wivenhoe Dam caused a disaster almost completely avoidable if the operators had not been negligent, prompting the filing in the NSW Supreme Court today of Australia’s largest and potentially most costly class action. 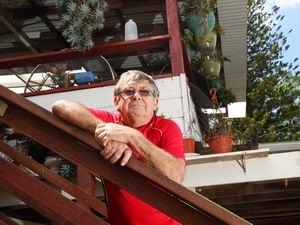 The decision of legal firm Maurice Blackburn to definitely run the case for more than 4000 victims of the January 2011 floods that devastated South East Queensland homes and businesses follows a closed-door multimillion-dollar evidence-testing program by a team of United States-based hydrologists. It has so far cost the firm and its funder, Bentham IMF, millions of dollars and the costs are set to escalate sharply, while the potential payout for some 4000 signed-up flood victims would be met in part by a major insurer if the victims win the case. The cost and damage suffered by South East Queensland families and businesses, many of them uninsured for the inundation of thousands of homes, means the payouts in the event of a success could be as much as $2 billion. The lead lawyer who has been managing the case, Damian Scattini, told The Australian today: “We know now that this was a disaster that didn’t have to happen. The data is very clear. “The evidence tells us that the rainfall that occurred was not a so-called ‘black swan’ event — we say that the rainfall that was forecast to fall actually fell, but the operators of the dam had not left any capacity in the dam to deal with it. The Australian’s reports and findings three years ago that the Wivenhoe-related flood was avoidable, and that it only occurred due to breaches of the operating manual, are conclusively supported by the international team of experts. The hydrology team working for Maurice Blackburn and its litigation funder, Bentham MF, will give evidence in the event of a trial in a New South Wales Supreme Court, where the case is filed today due to Queensland’s lack of a class action regime. The operators of the Queensland government-owned Wivenhoe Dam have consistently denied any wrongdoing and emphatically rejected claims of negligence. 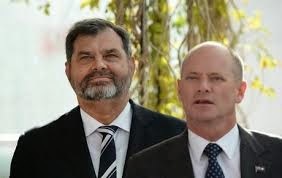 They have been backed by Premier Campbell Newman, whose government inherited the flood debacle from former premier Anna Bligh. The Newman government tried to hose down potential litigation over the flood by commissioning its own study from US engineers in 2012 with restrictive terms of reference to prevent the adoption of adverse evidence. A Queensland Royal Commission-style inquiry was forced to go back to public hearings and change its final report in early 2012 after The Australian discovered damning new evidence, resulting in the adverse findings that the operators were in the wrong dam-release strategy, failed to take into account forecast rainfall, and misled the Supreme Court judge running the probe. Mr Scattini said these findings were at “the core” of the legal case. “The people who have commented publicly and said everything was done properly are looking at the wrong facts, and they are just flat out wrong,” Mr Scattini said. 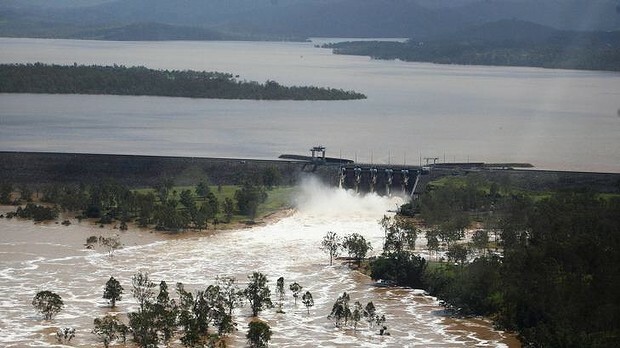 Mr Scattini said the flood engineers failed repeatedly as far back as early December 2010 to properly operate Wivenhoe Dam and the smaller Somerset Dam, adding that Brisbane averted a catastrophe — the overtopping and collapse of Wivenhoe — which was on the cards due to the inaction of the operators. He said that from early December 2010 onwards the flood engineers failed repeatedly to adopt proper release strategies for both dams, despite continuing and serious official weather warnings of more heavy rain. The legal action will allege negligence and nuisance against the operators of the dams — the “defendants’’ Seqwater, Sunwater and the State of Queensland, with the four flood engineers responsible for dam operations being employees of the defendants. Maurice Blackburn and IMF Bentham will assert that the defendants owed those living and operating businesses downstream of Wivenhoe Dam a reasonable care to avoid the risk that a failure to properly operate the dams would cause greater flooding to areas downstream. The Commission of Inquiry found the flood engineers repeatedly failed to take into account forecasts issued by the Bureau of Meteorology which predicted heavy and prolonged rainfall. Flood operations stopped altogether at a number of critical moments during the flood event — twice in December and once in early January, yet the flood event was ongoing and further heavy rainfall was predicted. 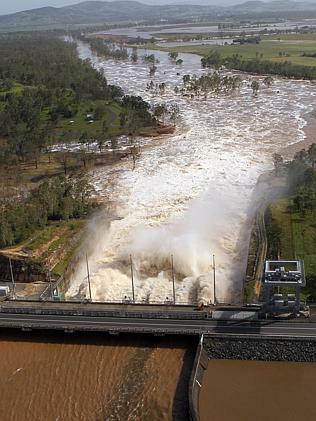 Maurice Blackburn will be filing a class action in early 2014 seeking compensation for financial loss and damage caused by the negligent operation of Wivenhoe and Somerset dams during the January 2011 flood in South East Queensland. The action will be funded by litigation funder, Bentham IMF Limited (formerly IMF Australia). How do I register for the class action? If you are a person or business affected by the January 2011 flood, and would like to register with us, visit www.imf.com.au/wivenhoe or call 1800 016 464. Registration is free and without obligation. You are not retaining Maurice Blackburn as your lawyer by registering. We will contact you upon receiving your completed registration form to invite you to retain us as your lawyers with respect to your individual claim. You will need to retain us as your lawyers and enter into a litigation funding agreement with Bentham IMF Limited before 11 April 2014 in order to be represented in the class action. The class action will allege that the negligent operation of the Wivenhoe and Somerset dams in the lead up to and during the 2011 flood significantly contributed to the extent and the level of flooding downstream of the dams and created a flood that was much worse than it would have been if the dams had been operated competently. The Queensland Floods Commission of Inquiry was established on 17 January 2011 to examine the events surrounding the 2010/2011 flood events in South East Queensland. Maurice Blackburn played an important role in the Inquiry by representing residents of the community of Fernvale, which is located just below the Wivenhoe Dam. On 16 March 2012, the Commission delivered its final report. It found that Wivenhoe Dam had been operated in breach of the manual that governs its operation. Crucially, it was found that the dam operators had failed to use rainfall forecasts in making decisions about dam operating strategies. The Inquiry was also critical of the process by which strategies were selected. Who is the class action against? The class action is being brought in negligence, against Seqwater, Sunwater and the State of Queensland. As the owner and operator of Wivenhoe and Somerset Dams, they had a duty to operate the dams competently in order to minimise the impact of dam releases downstream. 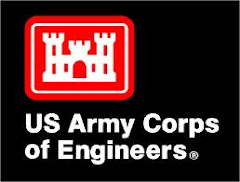 How were the dam operators negligent? failing to preserve a reasonable amount of the dams' storage capacity in order to provide optimum protection of urbanised areas from inundation. This negligent conduct, in addition to other conduct, contributed significantly to the downstream flooding experienced in Brisbane and Ipswich. How will the class action work? Class actions are generally brought by multiple people against the same defendant, where each person's claim arises out of the same or related circumstances. The class action will be run on a no win - no fee basis. This means that you will not have to pay any fees unless the case is won. 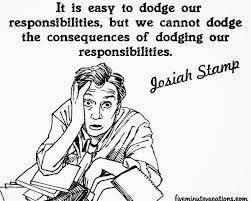 You cannot be ordered to pay the other side's costs if the action is unsuccessful. All costs and risk will be fully underwritten by Bentham IMF Limited. There are no out of pocket costs or risks to you. If the action is successful, the costs of the proceedings, which will include expert evidence fees, legal costs and interest, will be shared across the class. If the case is won, Bentham IMF Limited will be paid from the net settlement or judgment proceeds (that is after payment of costs). Bentham IMF Limited will receive up to 30 per cent of the net settlement or judgment proceeds. The details of the costs and funding arrangements are set out in full in our Retainer and in Bentham IMF Limited's litigation funding agreement which you will receive and have the opportunity to consider before committing to anything. Bentham IMF Limited is the largest and most successful litigation funder in Australia, having collected over $1.2 billion for clients. It is the first litigation funder to be listed on the Australian Securities Exchange (ASX) and has successfully sued the Commonwealth and the States in previous class actions. Together Bentham IMF Limited and Maurice Blackburn have been involved in the largest class action settlements in Australia. What sort of damages can be awarded? The class action will be seeking damages for our clients for economic loss. The amount of damages will vary from person to person depending upon their individual circumstances. Costs associated with replacing lost or irreparably damaged possessions. What sorts of damages are not being claimed? If you wish to make a claim for damages for personal injury or psychological harm, you should seek urgent legal advice from another lawyer as strict time limits apply. Who can join the class action? The class action will be brought on behalf of people who suffered loss or damage as a result of inundation by water in areas downstream of Wivenhoe Dam in the period between 9 and 24 January 2011.
regularly conducted a business in an area that was inundated with water and suffered economic loss as a result of the inundation. 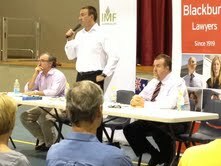 To find out more about the class action, visit www.imf.com.au/wivenhoe or call 1800 016 464. FLOOD victims in Ipswich have a month to sign up to be part of the $1 billion-plus class action against the Queensland Government. The class action is being put together by litigators Maurice Blackburn Lawyers. Bentham IMF, the litigation funders, have announced that they are unconditionally funding the case. Victims of the 2011 floods have until April 11, to register. for the class action before the 11 April deadline. 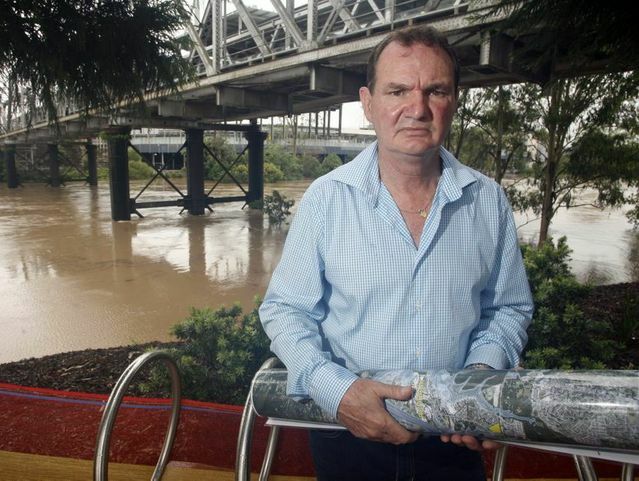 Goodna councillor Paul Tully has urged all flood victims to get on board and sign up for the class action that will be held in the NSW Supreme Court. Cr Tully pointed out that under the arrangements of the class action there can be no costs awarded against flood victims if the action is unsuccessful. "There is every prospect that flood victims will be fully recompensed, although it may take several years," he said. "But this will be the final opportunity. After February 28 it will be too late for people to sign up. "The process is very simple and can be done online with Maurice Blackburn." 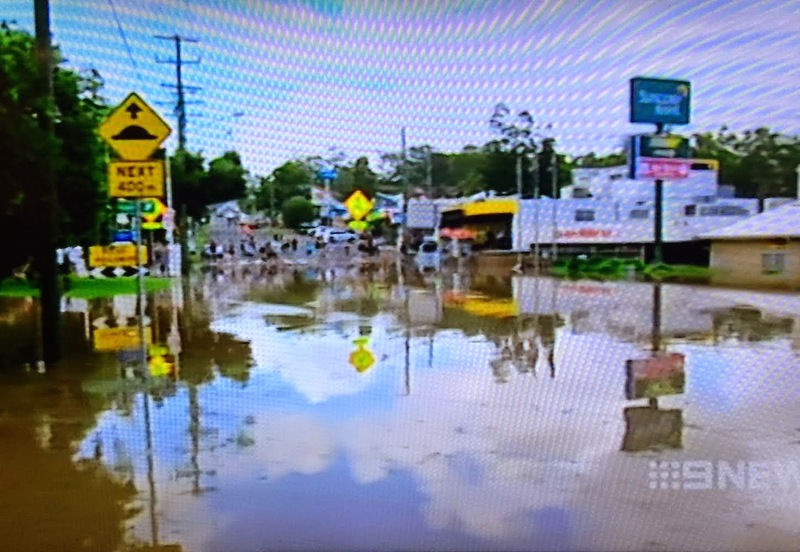 Cr Tully said there were 600 properties flooded in Goodna alone with more thanl000 home owners, renters and business owners affected across Ipswich. Cr Tully said some people may not have signed up because they could be reticent about reliving the trauma of what happened three years ago. "But what I say to people is that the case will be handled by professional lawyers in the NSW Supreme Court and it will be the court that makes the decision about whether individuals are entitled to compensation. "That will include damage to their property, damage to their personal possessions or loss of property value." Any person or business affected by the January 2011 flood can register for the class action at imf.com.au/wivenhoe or call 1800 016464. 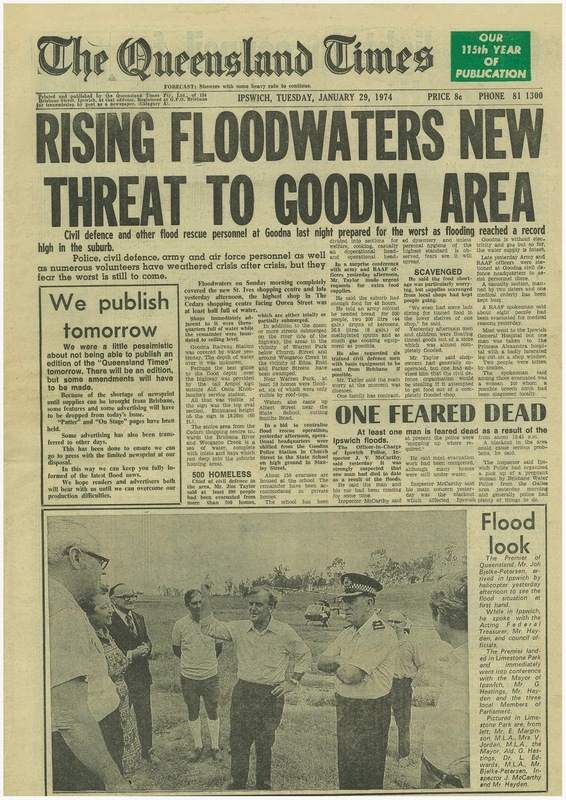 "RISING FLOODWATERS NEW THREAT TO GOODNA AREA". Federal Member for Oxley Bill Hayden. Thankfully, the Brisbane River had already peaked and Goodna was spared a second deluge. The picture shows the Premier Joh Bjelke-Petersen arriving at Limestone Park in Ipswich greeted by (from left) Evan Marginson (Member for Wolston), Vi Jordan (Member for Ipswich West), Ipswich Mayor George Hastings, Dr Llew Edwards (Member for Ipswich), Police Inspector J McCarthy and Federal Member for Oxley Bill Hayden. Incidentally, the price of the QT in 1974 was 8 cents and inside there was an advertisement for house and land at Churchill for $12,490 (full price). Flood victims in the Ipswich suburb of Goodna are backing today's announcement of the Maurice Blackburn class action against the state government. Goodna was the hardest hit suburb in southeast Queensland in January 2011 with 600 flood-affected properties. Local councillor Paul Tully who lost his family home in the flood described today's announcement as a "major ray of hope for all flood victims". 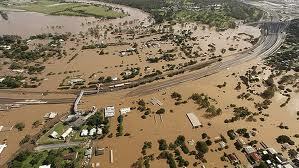 Cr Tully urgent flood victims across Ipswich and Brisbane to sign up by the end of February 2014 for the class action. "This is an opportunity for residents and business owners to be compensated for their losses caused by the mismanagement of the Wivenhoe Dam in 2011." Cr Tully called on the state government to enter negotiations in good faith for a settlement of the class action without the need for an expensive legal trial. "The state government must act as a model litigant to ensure all flood victims are fairly compensated for their losses," Cr Tully said. 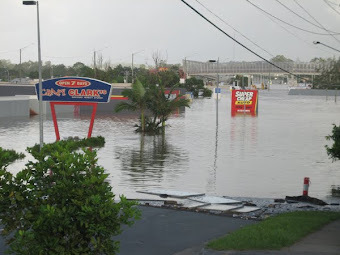 THE overwhelming majority of the 5000 homes and businesses signed up for a Brisbane 2011 floods class action now certain to go ahead would not have been inundated if Wivenhoe Dam had been operated competently, modelling by US experts shows. The modelling shows 85 per cent of the properties would not have suffered any inundation in the floods, which were caused by massive releases from the dam. PREMIER Campbell Newman has taken a veiled swipe at the legal firm representing the thousands of Ipswich and Brisbane residents who are seeking compensation after their homes and businesses were flooded in 2011. Residents have been given the green light to launch a far-reaching class action claim after litigation backer IMF Australia and law firm Maurice Blackburn claim extensive modelling of the disaster revealed unnecessary flooding was caused by the negligent operation of Wivenhoe and Somerset Dams. So far, 5000 people have signed up, with claims against the Queensland Government, Sunwater and Seqwater totalling more than $1 billion. Mr Newman said on Wednesday (Nov 27) he hoped all those people who sign up read the fine print closely. "Everybody's entitled to mount a legal action in this country. That is what democracy and the legal system is all about," he said. "I just say to them that I hope that they have got a very clear deal with the legal firm or legal firms involved. "I would hate to see any sort of payout to them, if that ultimately happened, being gobbled up in legal fees." Maurice Blackburn principal Damian Scattini said community meetings would be held in Ipswich and Brisbane, with the meetings to play an important role in helping to ensure registrants were properly informed of the next steps in the action. EARLIER: THOUSANDS of Ipswich and Brisbane residents whose homes and businesses were damaged in the 2011 floods have been given the green light to launch a far-reaching class action claim next year. 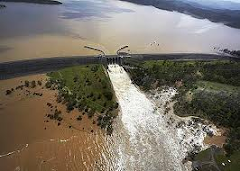 Litigation backer IMF Australia and Maurice Blackburn say extensive modelling of the disaster has revealed the extent of unnecessary flooding caused by the negligent operation of Wivenhoe and Somerset Dams. "Anyone who was inundated and suffered loss during the 2011 flood of the Brisbane and Bremer Rivers may have a claim and should contact IMF to find out whether their property was unnecessarily flooded," he said. "For most people, this was a flood that should not have happened if Wivenhoe and Somerset Dams had been operated properly. "We have put many months of work into this case and we are now ready to run this case and file a lawsuit after we give flood victims a final opportunity to join the claim." Flood-affected residents have until February 28, 2014, to sign up. Meetings for registrants will be held on Sunday, December 15, at The Greek Club, South Brisbane, from 1pm, and on Monday, December 16, at the Metro Hotel International, Ipswich, from 7pm. Smiths Rd Goodna at the corner of William St on 12 January 2011 looking east towards the Ipswich Motorway and Goodna Railway Station. McDonald's store corner Brisbane Rd and William St Goodna 12 January 2011, six hours before the peak of the flood. Click on above logo to find out. 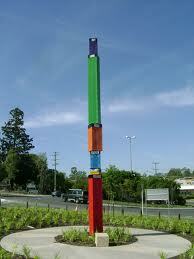 Goodna Pillar of Courage and Historic Flood Marker at corner of Queen and Church Sts Goodna unveiled by Prime Minister Julia Gillard on 11 January 2012. Queen St Goodna looking west towards Smiths Rd before the peak of the flood on 12 January 2011. 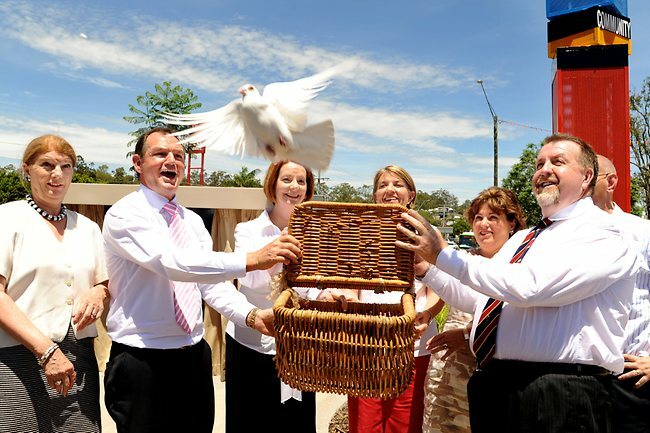 The Greater Goodna Flood Group was formed to assist local residents as part of the post-flood recovery effort following the disastrous Brisbane River flood of 11 January 2011. Since the final report of the Queensland Floods Commission in 2012, headed by Commissioner Justice Cate Holmes of the Queensland Supreme Court, a class action has been filed by Maurice Blackburn Lawyers in the NSW Supreme Court on behalf of over 4000 claimants and funded by Bentham IMF Limited. The class action is on a "no win, no fee basis" with flood victims being able to claim for specified losses arising from the flood. If the claim succeeds, fees to Maurice Blackburn Lawyers and Bentham IMF Limited are payable in accordance with the terms of each individual contract, from the proceeds of claim.